Every Legend needs a hero. 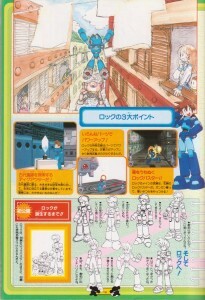 For MegaMan Legends, that hero is MegaMan (Rock) Volnutt. Rock is the main protagonist, a young man of around 14 years. He’s been working as a Digouter exploring the ancient ruins for much of his life. 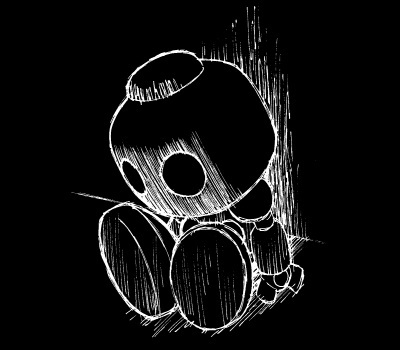 As a baby, he was found by Barrel and raised in the Caskett household. However, the circumstances of Rock’s birth may hold an unbelievable secret. Rock enters the ruins, acting as main diver. Rock is often referred to by people as the “blue boy” because of his trademark blue suit. Rock is this kind of boy! He won’t go easy on the bad guys!! Rock is a hero with a fervid sense of justice. Where there’s a damsel in distress, he’ll gallantly come to the rescue! Never one to abandon someone who’s in trouble, Rock will always lend a helping hand. He presses on through the most perilous of dungeons!! Dangerous dungeons don’t deter his daunting demeanor! No matter how tough an enemy may appear, it’s no match for Rock’s bravery!! His Rockbuster stamps out evil!! 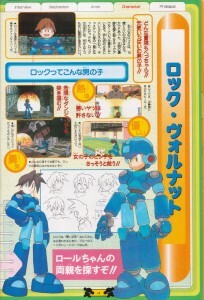 Rock’s main weapon is the Rockbuster on his left arm. With the familiar firing sound of his trusty weapon, he’ll always trounce the bad guys!! He can use various parts to power up! Rock can use special weapon parts for even more power. They have different advantages like attack power and the distance range of fire. He’s a Digouter who explores the ancient ruins! Resting in the ancient ruins are all sorts of treasures waiting to be discovered, and it’s his important job to recover them! Risking his life is an everyday occurrence! The Road to Creating Rock!! 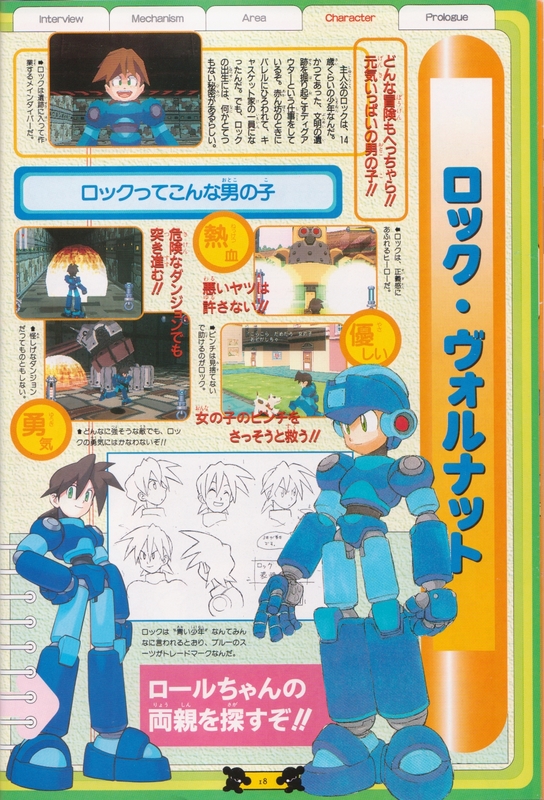 In addition to the Rockbuster on his left arm, Rock can also attach special weapons to his right arm. His hand section gives off an impression of mechanical sturdiness, don’t they? The shape of his legs changed across the designs. He looks a bit too slim here, don’t you think? He started looking a lot more rounded here. Here his eyes’ expression has become much more intense. Does it seem his hair gained some increased volume as well? His body went from looking very robotic to appearing more like a person. And to Rock at last! 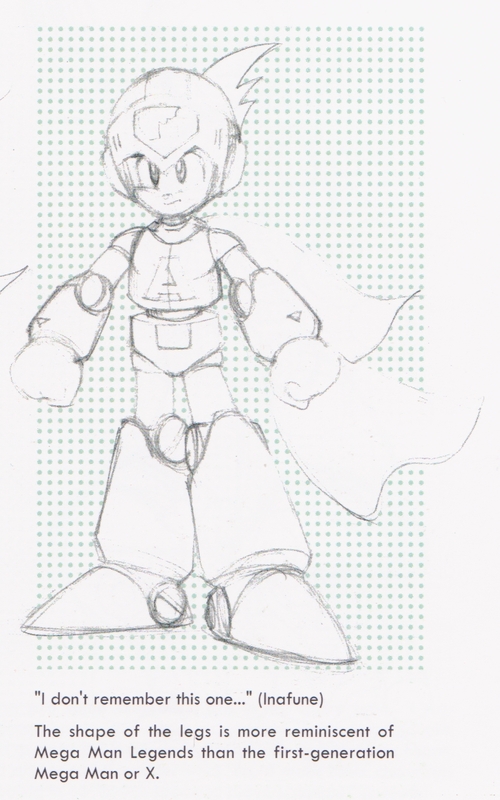 I decided to call the baby I found MegaMan. Actually, it wasn’t really my idea… It was my granddaughter, Roll, who chose that name, after one of her favorite video game characters. I tried to get her to change her mind, but she insisted that should be his name. At any rate, I raised him like he was my own. He was no different than any other boy. He quickly became part of our family. I decided to call the baby boy I had found Rock. When brought together with my granddaughter Roll, you get Rock and Roll. Rock’n’roll! ……It’s a little pun, you see. At any rate, I named the boy Rock and raised him, watching as he grew up, but he seemed no different than any other child. Nowadays he’s practically part of our family. It’s made up based on “nuts and bolts” (like you see in the DASH logo). It’s made up based on “voltage” (like Lightning Parts Junk Shop). It’s made up based on “walnut”. It’s the name of someone Barrel knew in the past and wished to honor. For now, only Barrel and the DASH development crew knows for sure. That’s it for now. 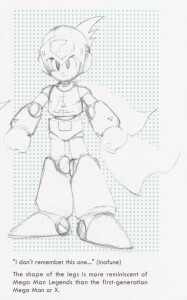 We’ll undoubtedly look at some more Rock Volnutt concept stuff later on! 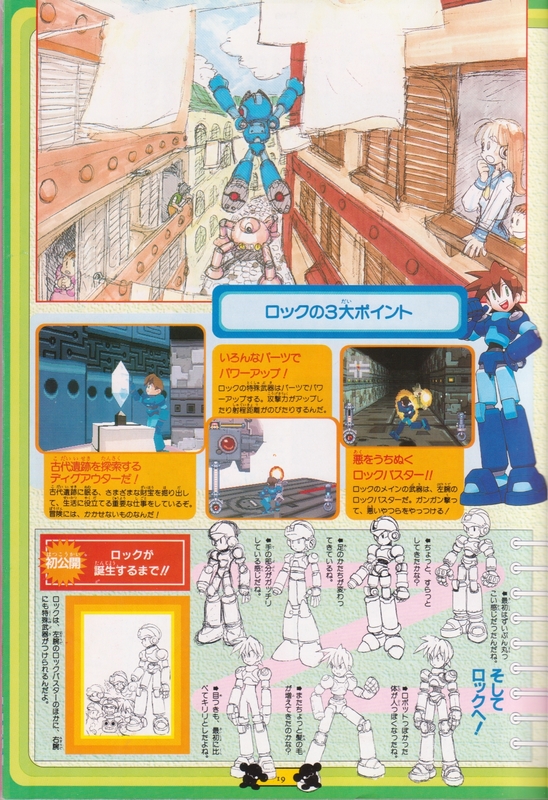 4 Comments to "Know Your Hero: MegaMan Volnutt"
I read an idea somewhere that “Volnutt” is Joe/Banner’s (Roll’s father’s) last name. I like Rock, and the Japanese explanation for naming him, far better. Great article! Looking forward to more Volnutt focused ones! I like Rock and the Japanese explanation much better than American explanation! An American translation sound ridiculous! Thanks for the great article.